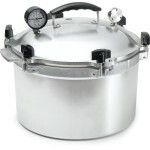 What’s the difference between pressure canning and water bath canning? I don’t have a pressure canner, can I can my chicken in a water bath? How long do you need to process meats for? Can I make jam without pectin? What is pectin? What is the difference between jam, jelly and preserve? The number of questions can make your head spin. Some of the information is so important that if you don’t know the answers, you can actually hurt yourself or your family. Canning is an important life skill, not just for preppers, but for everyone who aspires to give their families healthier foods. Listen to this broadcast on Canning 101 in player below! Put the 24/7 player on your web site Go Here and get yours! Previous: Previous post: Sci-Fi Prepper Inventions! Next: Next post: 6 Critical Mistakes When Collecting Rainwater!